Melissa Ross (left) with Jon Heymann (right) in Studio 5. A new effort dedicated to enriching the city’s young people and reducing high crime rates is underway. ELEVATE Jacksonville is a civic educational nonprofit dedicated to equipping and empowering underserved High School youth to graduate with a plan for the future. Jon Heymann, the Executive Director of ELEVATE Jacksonville joined us with more information. A new PBS documentary, Backs Against The Wall: The Howard Thurman Story will air Friday, February 8 at 9 pm on channel 7.5, WJCT WORLD. It explores the life of Howard Thurman, who was a civil rights and religious leader who was born in Daytona Beach and trained at Jacksonville’s Baptist Seminary. We spoke with Luther E. Smith, Jr., Professor Emeritus of Church and Community at the Candler School of Theology at Emory University about Thurman's impact. Indie rock troubadour Rayland Baxter told us about his upcoming gig with his band on Saturday, February 10 at 8 p.m. at Murray Hill Theatre. 5. Peter Pan: Theatre Jacksonville, Saturday, Feb. 9, 2 and 7:30 p.m. Sunday, 2 p.m.
Peter Pan is a new, more adult version of the classic story told from a Captain Hook’s point of view. It includes staged reading with original songs and music by Jason Woods. The show's producers say to think of content as PG-13 rated due to content and language. 4. Michael Bolton: Florida Theatre, Sunday, 7:30 p.m.
Jax Eats Food Festival's second annual event features food samples from local restaurants including V Pizza, Metro Diner, Seafood Kitchen and SMASH Restaurant and Ping Pong Bar. There will be unlimited samples and sidelines tickets for the Jacksonville Icemen vs. Orlando Solar Bears, starting at 7 p.m.
2. Monty Python's Spamalot: Times-Union Center, Monday, 7:30 p.m. The Tony Award-winner for Best Musical “lovingly ripped off from the film classic ‘Monty Python and the Holy Grail,’” tells the tale of King Arthur and his Knights of the Round Table as they embark on their quest for the Holy Grail. 1. Carol Burnett: An Evening of Laughter and Reflection: Times-Union Center, Friday, 8 p.m.
Carol Burnett is one of the most beloved and honored actresses who is best known for The Carol Burnett Show (winner of 25 Emmy Awards). 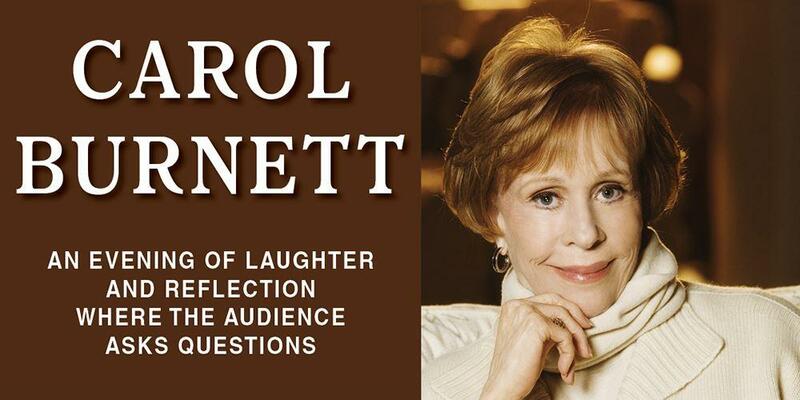 The evening will include clips from her show in a format that harkens back to the legendary openings of The Carol Burnett Show where her studio audience had an unfiltered opportunity to engage Burnett with questions and receive spontaneous answers. Amanda Brannon can be reached at newsteam@wjct.org, 904-358-6317. Gov. Ron DeSantis has announced plans to eliminate the Gardiner program waitlist of nearly 2,000 students. Mayors at the Beaches are working on plans for coastal resiliency.